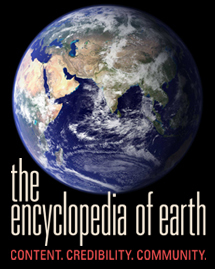 Logo for Encyclopedia of the Earth. The Encyclopedia of the Earth. 23rd Annual ACM Symposium on Applied Computing, 16 - 20 March 2008, Ceará, Brazil. Call for papers. The submission deadline is 8 September 2007. Assess the Impact of Free Access to Computers and the Internet at Public Libraries in Cooperation with the Institute of Museum and Library Services. Request for Proposals. The submission deadline is 14 September 2007. Internet of Things 2008: International Conference for Industry and Academia , 26 - 28 March 2008, Zurich, Switzerland. Call for papers. The submission deadline for technical papers is 15 September 2007. Workshop/tutorials/demo proposals are due 20 October 2007. CHI Conference on Human Factors in Computing Systems (CHI 2008), 5 - 10 April 2008, Florence, Italy. Call for papers. The submission deadline is 19 September 2007. Library Review, Special issue on Digital libraries and the Semantic Web: context, applications and research. Call for papers. The submission deadline is 5 October 2007..
4th International Conference on Web Information Systems and Technologies (WEBIST), 4 - 7 May, 2008, Funchal, Madeira, Portugal. Call for papers. The submission deadline is 13 October 2007. World Library and Information Congress: 73rd IFLA General Conference and Council "Libraries for the future: Progress, Development and Partnerships"